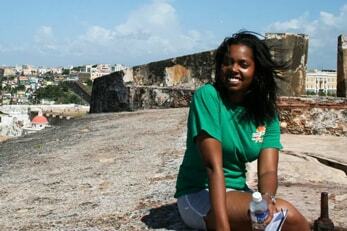 As you can likely tell I like to eat (and travel). Some of my friends have asked me: “Are you launching a travel blog or food blog?”…but the truth is – aren’t they connected? Don’t we all eat while we travel? Anyhoo – I love dessert more than dinner, so expect to find quite a bit of reviews of dessert spots on my site. Doughnuts/Donuts are definitely one of my faves (after lava cake of course), particularly of the yeast variety. I’ve met a few folks who don’t care for donuts, and I find it stunning every time. They’re perfect as they’re soft, have fluffy bottoms, and topped with delicious icing – you shouldn’t go wrong…but unfortunately, I’ve had many a crappy one. 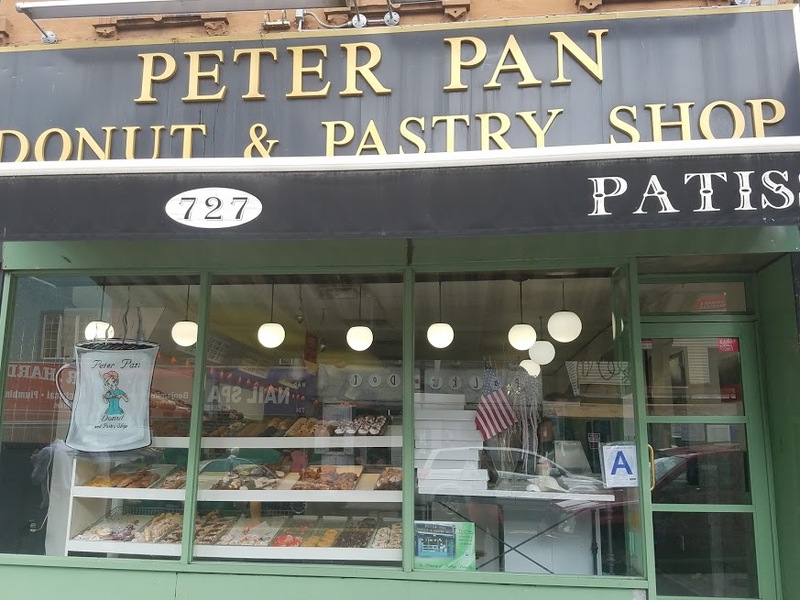 Now cue Peter Pan Donut and Pastry shop, which is located in the Greenpoint neighborhood of Brooklyn (pretty close to Williamsburg for comparison sake). I tried their Hot Cross Bun, Vanilla, Chocolate, and Strawberry frosted donuts – I mean, I had to for the sake of the blog, right? First, the Hot Cross Bun was delicious – it was soft, flavorful, and sweet – but only get it if you love raisins, as they’re truly throughout. The chocolate donut wasn’t my favorite, but I have to admit that I’m a chocolate snob. I like rich, dark chocolate, so it’s hard for me to find a chocolate icing that I’m fond of – having said that, my husband scarfed down the 2 chocolate éclairs he bought, so I think they were pretty good. It’s hard to ruin vanilla icing – and needless to say, it was delicious. But can we talk about the strawberry iced donut?? Absolutely superb. Again, the bottom was literally perfect – soft, and actually flavorful – you can tell it wasn’t frozen, or full of only sugar. Rather, you can tell that fresh ingredients were used, and that the batch was made on the same day. And the icing? To die for. Sweet and with a hint of strawberry flavor, without including actual strawberry chunks as some folks may love, but I don’t look for in my donuts. If I want fresh fruit, I’ll drink a smoothie. Now, for context, I’ve been to Doughnut Plant, and Dough Doughnuts, and I can’t/won’t disparage them – they make good donuts. But, I’m not really into artisanal or “crafty” donuts. I like well done, but basic donuts. I stick to vanilla and strawberry, and when feeling particularly adventurous – marble or oreo flavored ones. Thus, I can’t base a donut shop’s amazing-ness on their wide selection of flavors. I’d rather there only be 5 flavors, all basic, but absolutely delicious. And that is what you’ll get at Peter Pan Donuts. 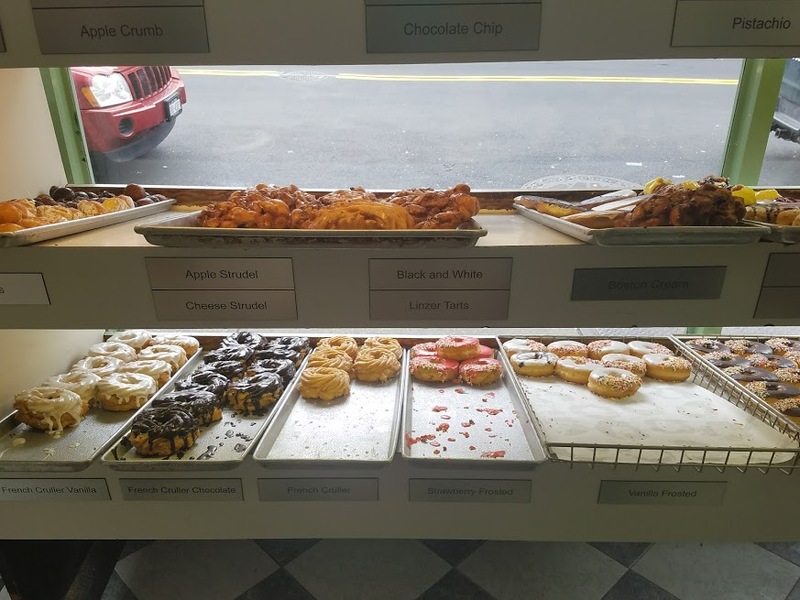 Let me be clear, they have many more flavors than just 5 – but they are an old-school donut and pastry shop, that seems to be sticking to a recipe that has served them well for many years. I hope they continue to do so! Yesss – very old school. No flashy flavors, but what they do, they do well!! Now I have to detour to Brooklyn next time in Manhattan!